Over five decades have passed since that near winter day of 1963, when upwards of two-hundred Orthodox faithful gathered at Parma Memorial Hall to celebrate the first Divine Liturgy of the new parish of Holy Trinity Orthodox Church. Upon the firm foundation laid down for us by our six founding families, we have built a temple to the glory of God. Many memorable dates of those years long gone by seem so vivid in our memories. Shortly after the first Divine Liturgy, a kick-off dinner was held. Fr Alexander Schmemann, Dean of St. Vladimir's Seminary at the time, inspired us with his words, "Your Church must proclaim Jesus Christ to this new community." 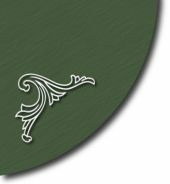 In the beginning our needs were great, and various groups were formed to provide both service and fellowship to the members of Holy Trinity Church. 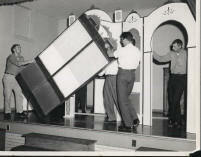 The Men's Club was formed and set up groups whose primary duties included setting up the temporary church every Sunday morning. We soon were out scouting for property on which we could build a Church. 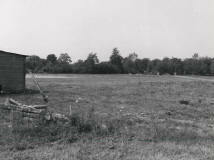 May 10, 1964, twenty acres were purchased on Broadview Rd. in Parma. A group of hard-working parishioners joined together to clear a portion of the land, and that year we enjoyed our first family picnic on our own grounds. The Women's club was formed early in our parish life, and they took on the task of raising monies to purchase the immediate needs of the Church. The Youth Group is a vital and vigorous organization that helps our young people become better acquainted and channels their energies towards service to the Church. 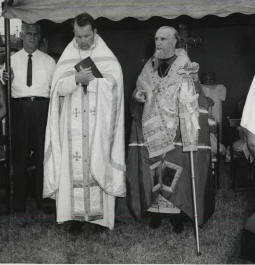 On August 2, 1964, Bishop John journeyed to Parma to bless the grounds. Ground was broken on June 27, 1965, our first services were held in our almost-completed church on January 6, 1966, and on May 15, 1966 Holy Trinity Church was consecrated. The years that followed presented many needs and challenges - all of the furnishings plus tables, chairs, kitchen equipment and supplies. The industrious group of parishioners who banded together to form the nucleus of the pierogi workers helped to meet these financial needs quickly. These people have persevered over these many years to meet the ever-changing needs of the parish. The following years were spent improving and maintaining our Church and property. Our fifteenth anniversary held special joy, as we were able to "burn the mortgage". In 1980 the land immediately south of our twenty acres was put on the market, and we purchased it. Our church school classes had outgrown their classrooms; and in 1981 a new wing was added with classrooms and an all-purpose meeting room. Over these past thirty years our membership numbers have changed. Those of our Holy Trinity family who have gave before us to their rest will live in our hearts and memories forever. The newly-marrieds, many of whom just a few short years before had been members of our First Confessions classes, make our joy complete when we witness their love for their Church and each other. What can we say about the new babies being baptized into the Faith? Their voices will soon join ours in praising Jesus Christ. Where do we "grow from here?" As we join together to celebrate our 45th Anniversary this November, the same steadfast faith and love that we have for the Church and each other can only affirm our purpose in this life, to live according to the teachings of our Lord. May our growth be measured by our Faith and Love. We are now worshipping in a new temple envisioned from our inception. Our parish has taken a new direction. With two deacons aiding the pastor, we are reaching out to those who feel themselves overwhelmed with the world as it is, and who are searching for the truth about God, His world, and His plan for salvation. Periodic Bible Study evenings are offered, as well as inquiry classes for those who want more from life than our society provides.